My favorite Disney movie as a kid was Pinocchio, because it was about a puppet wanting to be a real boy. I have loved many Disney movies as a child. I also loved watching Peter Pan most of the time. The only movie that stuck to my mind as a child was Pinocchio. There was so much to learn as a kid of not doing the wrong things, and not joining bad crowds in real life from this movie. This was a tale about a boy puppet that came to life getting into all sorts of trouble, but ends up saving his creator from a violent whale. You see Pinocchio trying to please his master, but his master wants him to care for him, as well. It is a tale of innocence. If I got the chance to see it again I would. Even if it is a child’s movie. The characters are colorful in so many ways. I loved it, because it was a movie at a time where I needed to understand how the world is. Another thing was I grew up with this film. It has a special place in my heart, even if it is fiction. 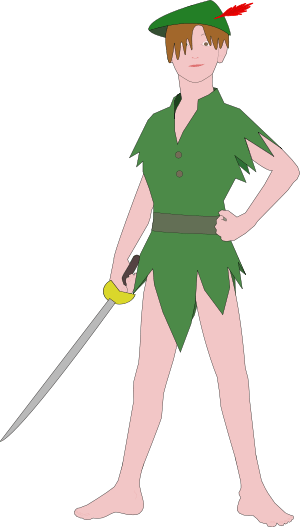 Peter Pan was another movie, but it was all only for fun for me. It was about a young boy who never wanted to grow up, and he never did. The story doesn’t end there. He fights Captain Hook to save the lost boys. The ending was that he brought Wendy, and her two brothers back home. It was exciting and fun to watch these colorful characters as a child. These two movies were fun for me to watch as a child.